Remember when you were young and you ‘accidentally’ grazed a crayon across your mother’s wallpaper? The consequences probably weren’t pretty and we’re not just talking about the new hint of blue you added to the motif! However, if your little ones are desperate to follow in your mischevious footsteps, why not let them? We’ve not gone mad, we’ve got practical. Sometimes you can’t watch toddlers 24/7; they’re crafty souls that find a way to behave in a scandalous manner regardless of the terrifying prospect of a prolonged spell on the naughty step. 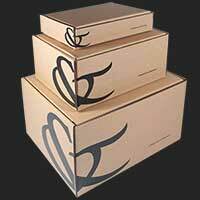 So why not give them a little creative license to add their own finishing touches to your interior? The black and white illustrations on this wallpaper may look like something straight out of a Tim Burton film, but this quirky motif was created by Lizzie Mary Cullen as part of our New Wave collection. A chic design that’s simply waiting to be brought to life with colour, this stunning wallpaper could be the perfect canvas for your little ones to transform. 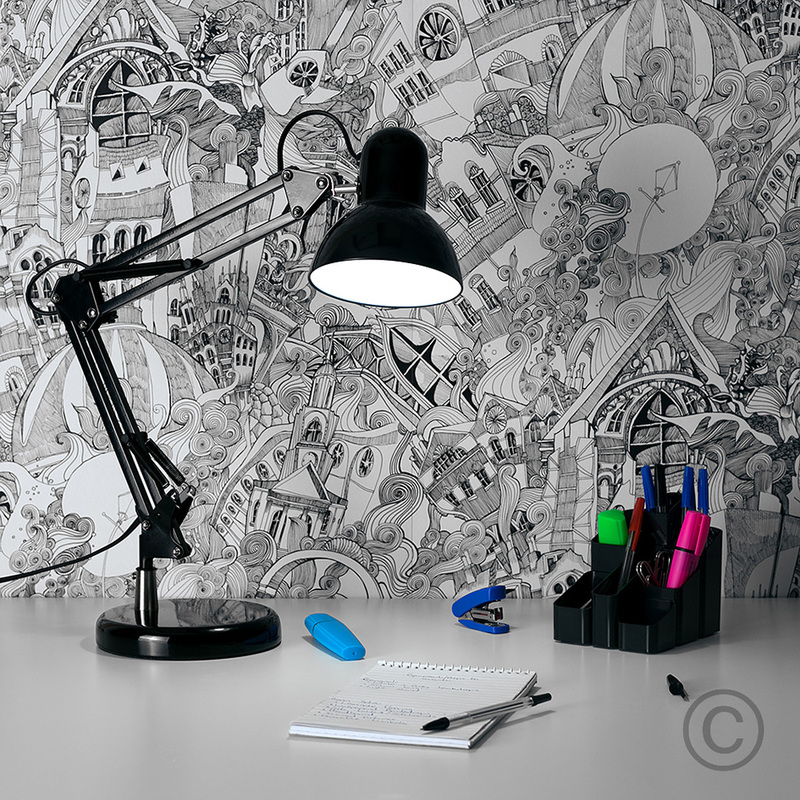 With intricate lines that give off an authentic hand-drawn feel, all it takes is for your children to carefully colour in this wallpaper to bring it to life. 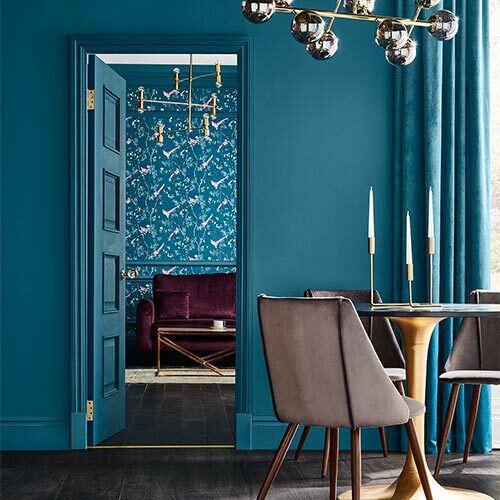 Instead of vandalising your walls with streaks of crayon and felt tip, this wallpaper turns your walls into a tasteful colouring book that will keep them occupied for a long time! For a pattern that’s a little simpler, this Colour Me Black & White wallpaper lets little hands make their mark. 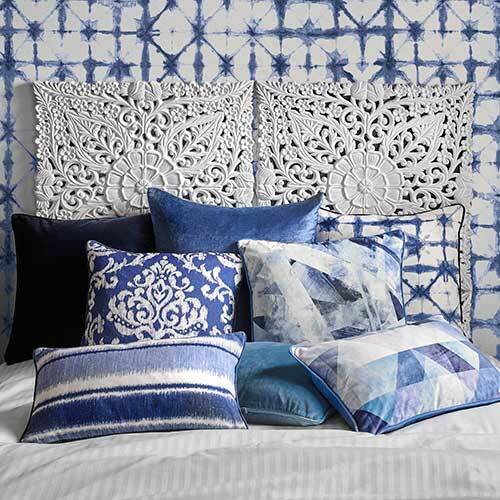 This easy-to-colour creation is adorned with a larger pattern instead of intricate lines. The blank spaces in between also give your children a little blank canvas to join each section together with whatever their crazy imaginations can think of. Colouring each section one by one will keep them busy for days! Designed to represent the city of London, these crazy doodles are waiting for the bright red post boxes to be coloured in. You could even draw a big red London bus in the gap, or the London Eye - go wild! Frames will always be a firm favourite for little kids and big kids alike. 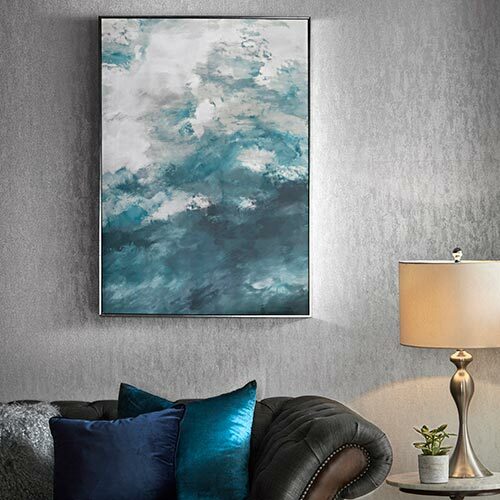 This incredible canvas depicts hand-drawn frames that invite you to fill each space with whatever you fancy. 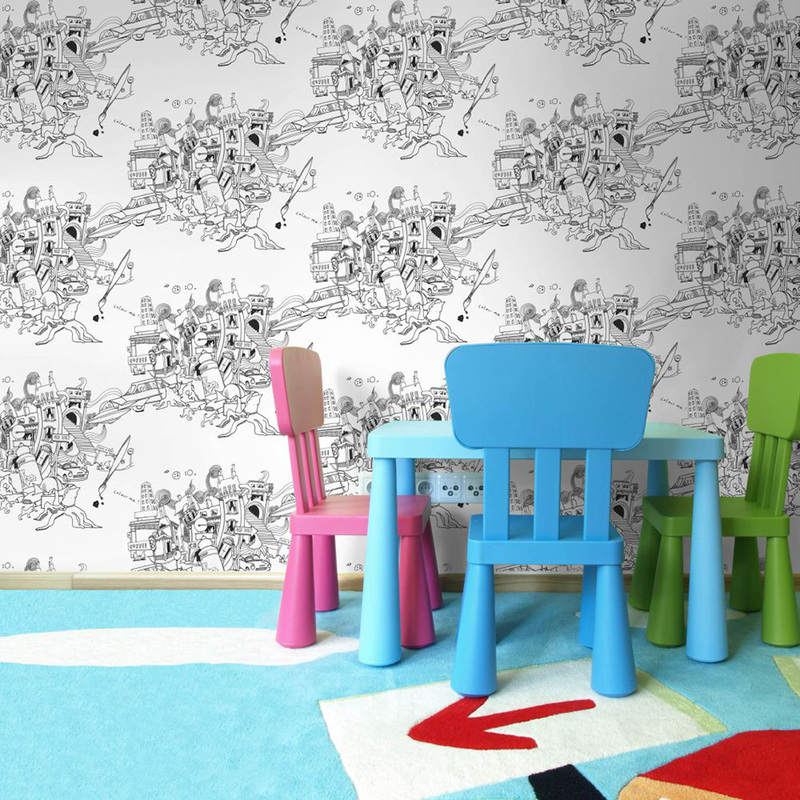 If you’re a little scared about allowing your kids to leave a permanent mark on the walls, this wallpaper looks fantastic when it’s pinned with your homemade creations. 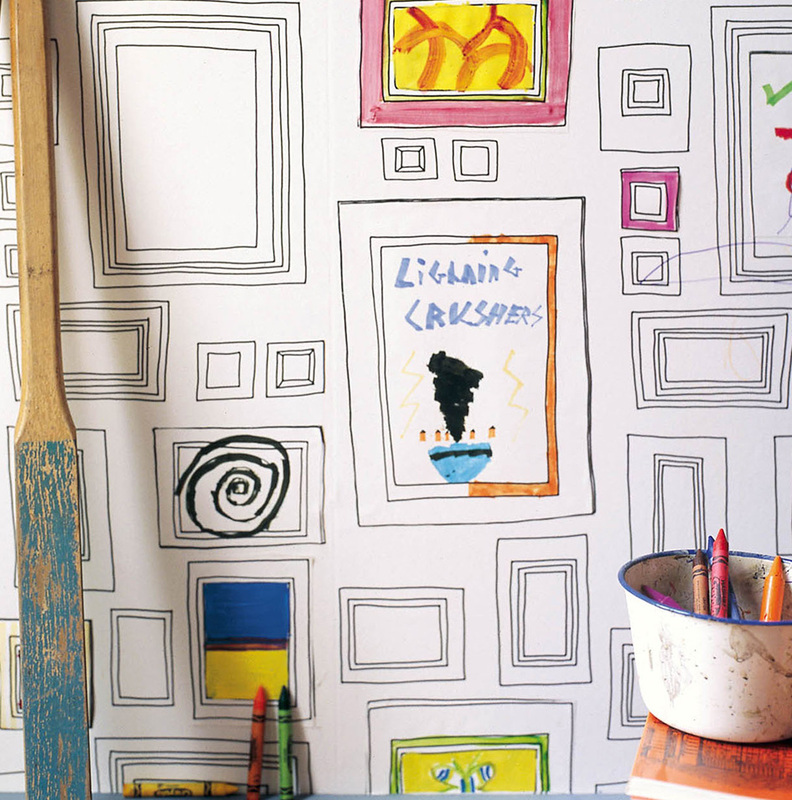 Adorn the walls with your child’s artwork and just watch how their artistic style develops over time. Adding pictures from family holidays, trips out and birthday parties really makes this great wallpaper your own. 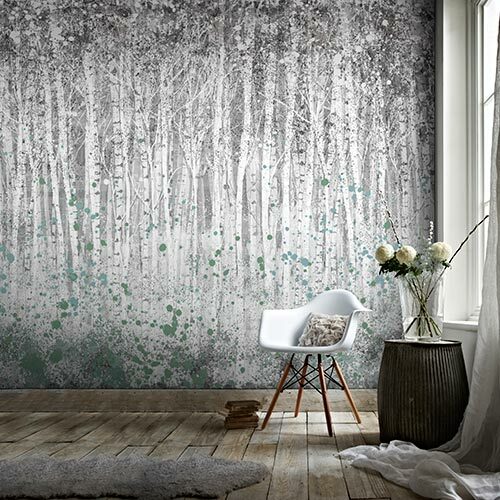 Perfect as a mural or pasted on to all four walls as a gallery, this black and white wallpaper gives them free rein to put their stamp on the finished look of a room. You could even reserve a space for yourself to use as a notice board! Giving your children the opportunity to make their mark on the walls shows that you trust them and gives them a sense of responsibility. Allowing their creative flair to shine, they’ll love showing the mural off to guests and friends that visit your home.